Elegant wooden bed with soft upholstered back cushions. Delivery without slatted frame and mattress! ALVA celebrates the art of beautiful design. Discreet, sustainable and perfectly formed – this is how Hoffmann Kahleyss impresses us with their newest designs. A sleek and finely crafted wooden frame in oak or walnut and the softly upholstered cushions invite one to relax and unwind. 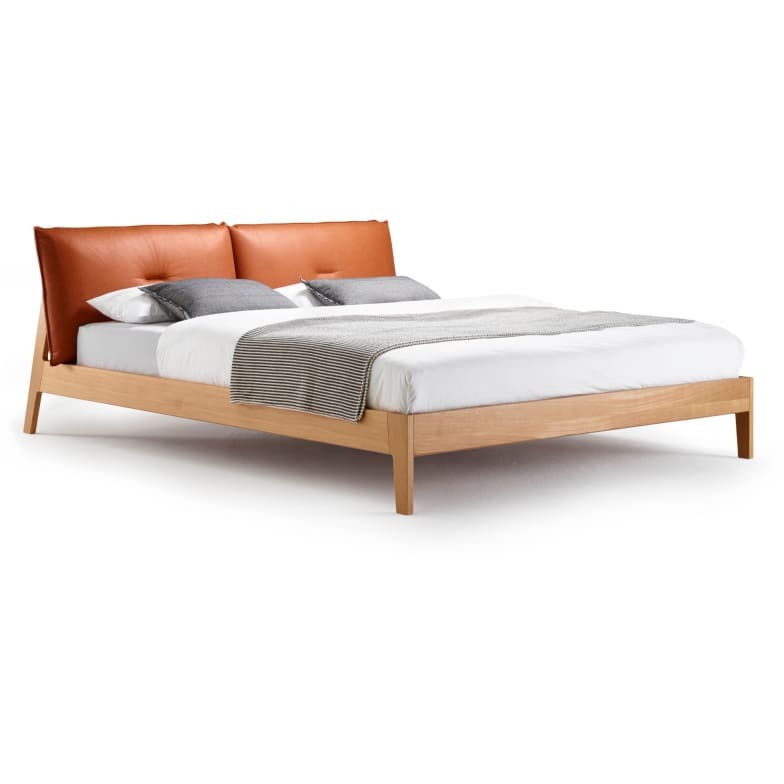 ALVA’s significant design feature is the triangle which is formed due to the connection between the sides of the bed and the raised hind leg. ALVA is an elegant wooden bed with slim bedsides and raised hind legs for receiving the back cushions. The back cushions are covered on both sides and part of the bed design. Removable covers with french seams in various fabrics and leather qualities. furniture that radiates warmth, coziness and well-being to the same degree as a self-evident modernity in form and function. Do you have a question about "Alva"? How can we contact you?